Puts clip overlay on top of clip base using different blend modes, and with optional x,y positioning, masking and opacity. Input clips (base, overlay and mask) are converted to YV24 internally. The output is re-converted to the input colorspace (or to the output colorspace, if specified). 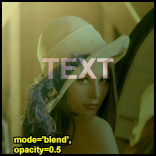 AVS+ works a little differently, no 4:4:4 conversion occurs for "blend", "luma" and "chroma" modes; see use444, below. In general all clips are treated as full-range values. 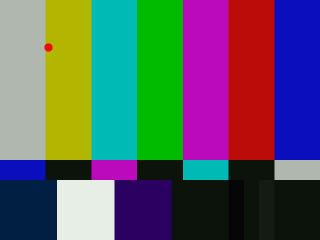 This means that numbers will not be clipped at TV range; you may use Limiter for this task afterwards. If your mask is TV-range, you should convert it to full-range,or the mask will never be fully opaque. It is not recommended to do overlays on interlaced material, unless you know what you are doing. This clip will be the base, determining the size and all other video and audio properties of the result, and the overlay picture will be placed on top of this. This is the image that will be placed on top of the base clip. The colorspace or image dimensions do not have to match the base clip. Define the placement of the overlay image on the base clip, in pixels. Can be positive or negative. Optional transparency mask. Must be the same size as overlay. Where mask is darker, overlay will be more transparent. Must be 0-255 range (in general: 0 - 2^N-1 range for N bits format). By default only the greyscale (luma) components are used, but this can be overridden with greymask=false. Set overlay transparency. The value is from 0.0 to 1.0, where 0.0 is transparent and 1.0 is fully opaque. This value is multiplied by mask luminance to form the final opacity. Defines how your overlay should be blended with your base image. The default mode: ordinary blending in proportion to opacity. Subtract The opposite of Add. Make the video darker. Multiply Darkens the image in proportion to overlay lightness. Chroma Overlay only the color information of the overlay clip on to the base image. Luma Overlay only the luminosity information of the overlay clip on to the base image. Lighten Use overlay only where it is lighter than the base image. Darken Use overlay only where it is darker than the base image. SoftLight Lighten or darken the base clip, based on overlay luma. Where overlay luma is darker than 128, the output will be darker. Where overlay luma is lighter than 128, the output will be lighter. This is useful for adding shadows to an image. Pure black or white in the overlay produces a distinctly darker or lighter area, but unlike HardLight, does not result in pure black or white output. HardLight Lighten or darken the base clip, based on overlay luma. Where overlay luma is darker than 128, the output will be darker. 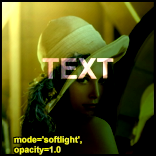 Where overlay luma is lighter than 128, the output will be lighter. Pure black or white in the overlay results in pure black or white in the output. Difference Display the difference between the clip and the overlay. Note that like Subtract, a difference of zero is displayed as grey, but with luma=128 instead of 126. 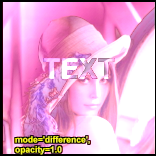 If you want the pure difference, use mode="Subtract" or add ColorYUV(off_y=-128). Exclusion Invert the image based on the luminosity of the overlay image. Blending with white inverts the base color values; blending with black produces no change. Specifies whether chroma should be used for chroma transparency. Generally you want to leave this alone. External filters like mSharpen and Masktools are able to export proper chroma maps. Set output colorspace. Possible values are "YV24", "YUY2", "YV12", "Y8", "RGB32" and "RGB24". AVS+ All 8-16 bits colorspaces e.g. "YUV420P14" and "RGB64"
Ignore any given conditional (runtime) variables. See the Conditional Variables section for more information. 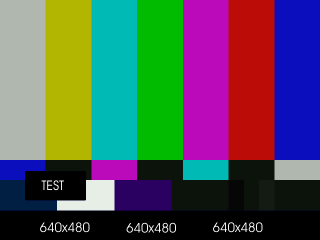 When set to true, this will make all internal RGB→YUV →RGB conversions assume that YUV sources are full-range instead of the default TV range. It is only recommended to change this setting if you know what you are doing. See RGB considerations below. AVS+ If set to false, Overlay uses conversionless mode where possible instead of going through YUV 4:4:4. 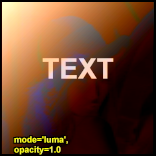 However, for Luma and Chroma modes, RGB must be converted to YUV 4:4:4.
false when mode="blend", "luma" or "chroma and format is YUV420/YUV422 (YV12/YV16). Original format is kept throughout the whole process, no 4:4:4 conversion occurs. 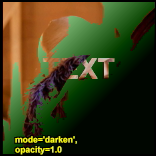 When overlaying an RGB clip using the add, subtract or multiply modes, the range of the overlay clip is better, if it is 0-255, since this will enable completely dark areas not to influence the result (instead of adding 16 to every value). When NOT doing a colorspace conversion on output. If the output colorspace (RGB vs. YUV) is different from the input, the scale will be wrong. If pc_range=true, and input is RGB, while output is YUY2, the YUY2 will have an invalid range, and not CCIR-601 range. AVS+ planar RGB formats are also supported besides 8 bit packed RGB formats and RGB48/RGB64. AVS+ "blend" mode keeps original RGB format, no YUV intermediate conversion is used. 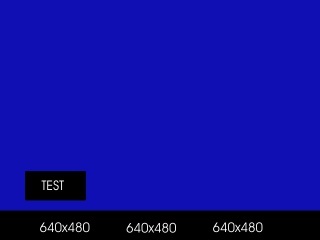 It might be a good idea to let Overlay output YV24 (or YUV444P10-16 in AVS+), even if your input colorspace is RGB, as this avoids a colorspace conversion back to RGB from YUV. You should however be aware that your material might be "overscaled", as mentioned above, if you use pc_range=true. You can correct this by using ColorYUV(levels="pc->tv") to convert back to 16-235 range (or equivalent ranges to 10+ bits). An RGB mask clip may behave a bit oddly if it contains color information. If you use a greyscale mask, or if you leave greymask=true, you will get the result you would expect. 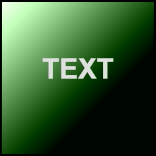 Note that mask values are never scaled, so it will automatically be in full-range, directly copied from the RGB values. 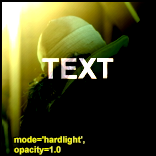 Overlay ignores the alpha (transparency) channel in an RGB32 clip. If you want the alpha, you can use something like Overlay(kitten, mask=kitten.ShowAlpha("RGB32")). For maximum quality, it is recommended to extract the alpha as RGB. When doing repeated partial overlays on an RGB base clip, the unchanged parts of the base clip will undergo a RGB→YV24→RGB conversion for each call to Overlay, producing a progressive loss of color accuracy. In these situations, it is better to convert the base clip to 4:4:4 format (e.g. YV24) before doing the overlays and convert back to RGB afterwards. The global variables ol_opacity_offset, ol_x_offset and ol_y_offset are evaluated for each frame. The values may be set using FrameEvaluate, or they may be read from a file using ConditionalReader – see example below. These values, after evaluation, will be added to the relevant filter parameters — for example, if you specify x=100 as a filter parameter, and ol_x_offset=50, the overlay clip will be positioned at x=150. This behaviour can be disabled by using ignore_conditional=true. There is an example of conditional modification at the ConditionalReader page. # Overlay the text in three different versions. # (note that the luma range of the mask is [0-255]). A tolerance of 60 is used here because the blue is not entirely uniform. Near the black rectangles the blue is given by R=23,G=22,B=124 – probably due to the compression artifacts of blue.jpg.  thus the dot moves in the following way: (20,20)→(250,350)→(400,40). It's also possible to do this using script variables in place of text files, with Animate. Merge, MergeChroma and MergeLuma – simple blending in any colorspace. Base and overlay colorspaces must match. Layer, which supports YUY2 and RGB32 without internal conversion. Supports RGB32 alpha-channel masking. uu_mt_blend, which does not support masking, but supports YV12, RGB24 and RGB32 blending without internal conversion. Base and overlay colorspaces must match. Wide selection of blend modes. Most blend modes work best in RGB. Fusion, which uses image pyramids to blend clips together; most often used in the creation of HDR images and image stitching. AVS+ Added 10-16 bit formats, incl. Planar RGB. Added 32 bit float support for "blend" Added 4:4:4 conversionless mode for "blend"
v2.6 Added output="Y8", "YV24"; input: "Y8", "YV16" and "YV24". v2.55 mode="Multiply" functionality has changed, so it works as it supposed to do.